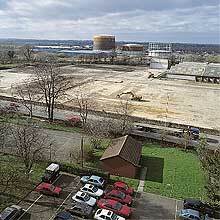 Since 1987 ORS has promoted potential development sites totalling in excess of 1,100 acres of land. 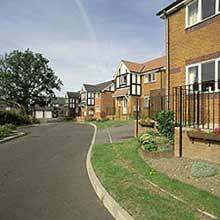 In excess of 7,000 houses have either received planning permission or have been identified in a Local Plan. Our core business is the strategic promotion of residential and commercial land, at our expense and risk, through the planning system to gain the valuable planning consent that the landowner seeks. Essentially, we offer a service that can be obtained individually from a number of professionals, but whereas these firms will charge the landowner for all the specialist reports and promotional expenses, we carry these costs ourselves earning our fee by taking a percentage of either the purchase price of the land or the developer's selling price of each residential unit eventually sold. Unlike a conventional builder/developer option where land is sold to a single option holder at a "negotiated" value which may be significantly less than the true market value, we offer consented land to the open market, usually by formal or informal tender, thereby ensuring that the maximum price is achieved for the landowner. Land promotion can be a highly complex and expensive process. We co-ordinate a multi-disciplined team of consultants (always using the best to improve our chances of achieving a consent) and like to involve the landowner's agent as an important member of the team. A typical project could include Planning Consultants, Highway Engineers, Architects, Ecologists, Environmentalists, Lawyers and often a QC to promote the site to its best advantage through the planning process. To secure a Promotion Agreement we will agree an up-front payment - so the landowner realises some of the value of his asset long before it gets to the open market, also covering the landowner's legal and agent's costs. Once the planning consent has been granted we work with the landowner's agent to find a buyer from the open market. This does not necessarily mean the land has to be sold as quickly as possible however, we are prepared to wait for favourable market conditions to obtain the best price.